Favela Vila Autódromo has lost 30 percent of its homes in the last year. Their crime is being next to the 2016 Olympic Village. 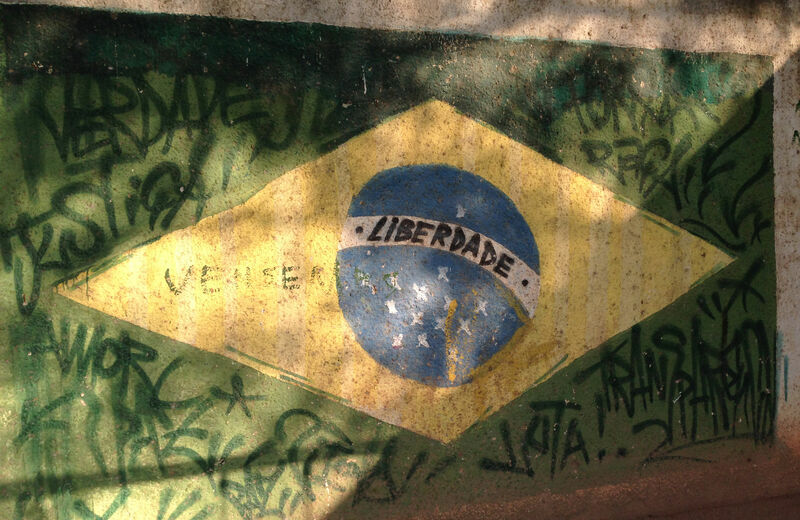 Despite a fierce resistance to their removal that has stymied the efforts of Olympic planners, I had heard before arriving that 150 of the 500 families living in Vila Autódromo had left. I expected many of their homes, places I had visited, to now be piles of rubble. What I did not expect was the absence of trees. Majestic trees punctuated the Vila Autódromo I remember. They were the shade and the breeze for residents. It was where you listened to music, argued, laughed and watched your children safely run the streets. Yet in an effort to coax residents to accept a cash payout and leave, the city has uprooted and torn out many of the trees. The city has also, according to residents, slowed garbage pickup and kept streetlights sporadically turned off at night. They cannot legally just evict people from their homes if they want to remain. But they can make life uninhabitable for those who stay. “It’s a psychological attack…a perverse strategy to weaken community and weaken our resolve,” said Jane Nascimiento from the Vila Autódromo Neighborhood Association, the group that has led the favela’s resistance. The city also said—falsely—that an injunction against demolitions won by the Neighborhood Association prevented them from providing payouts to those who wanted to depart. All of a sudden, the Neighborhood Association, which has provided leadership and strength through several difficult years, became an enemy for a minority of residents. A rock was even thrown through their window. There is something very precious in the favelas that is becoming endangered by the worship of “speculation and real estate”, not to mention the mega-events that fuel speculation and real estate beyond Odebrecht’s most fevered dreams. One should never minimize the very real poverty, lack of services and other challenges faced by the favelas. But those concerns should not blind us to the community, care, and vibrant culture that emerge from the narrow streets, and makeshift cafés. Hundreds in Vila Autódromo want to stay. They are fighting not only for their community but also for favela culture, and against the gleaming, charmless high-rise gentrification springing up all around them. They are fighting against those who aim to bury the favelas—one World Cup, one Olympics and one demolition at a time.